1.� Round Beads �������� - Size 11 and 15. 2.� 3-Cut Beads���������� - Size 11 and 15. 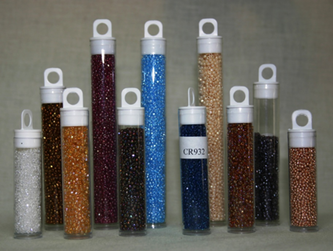 These beads are sold in transparent and resealable plastic vials, measuring 15mm by 50mm. It is labelled with a reference number for easy identification and reorder. Postages and handling will be advised after�processing. *Please click on the categories below for detailed information and to order.